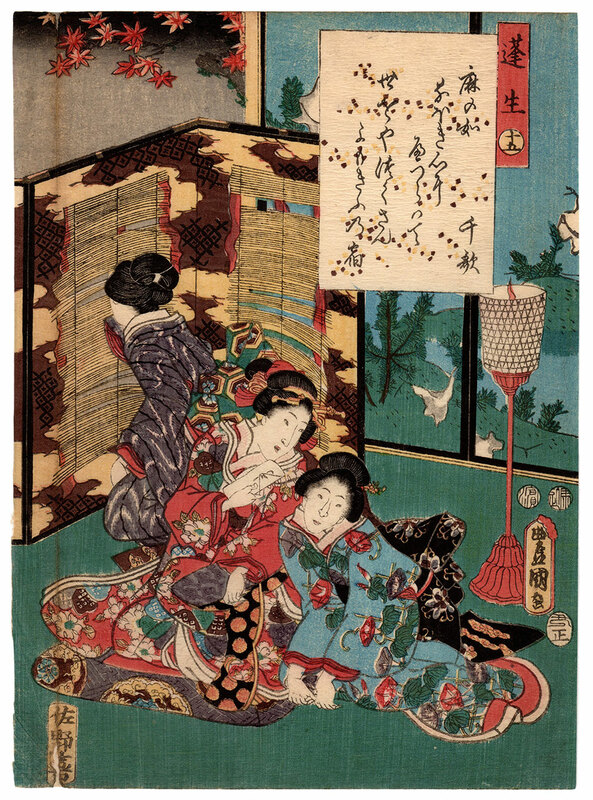 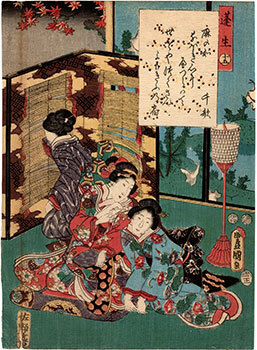 Precious polychrome woodblock print made in 1853 by the famous artist Utagawa Kunisada (歌川国貞) and inspired by the fifteenth chapter, entitled "A Ruined Villa of Tangled Gardens" (蓬生), of the Genji monogatari (源氏物語), the masterpiece of Japanese literature written in 11th century by the court lady Murasaki Shikibu (紫式部). The work was printed by the publisher Sanoya Kihei (佐野屋喜兵衛), owner of Kikakudo (喜鶴堂), and it is taken from the series "Color Print Contest of a Modern Genji" (今源氏錦絵合). 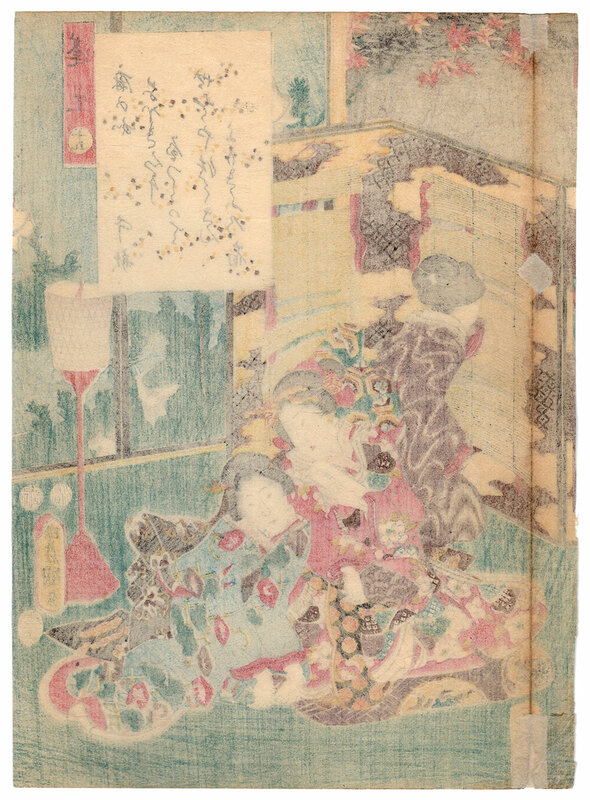 The print on Japanese washi paper (和紙), despite a vertical sign of bending and small restorations on the left margin, is in good general condition.